Me being me i went down to auto pro canning vale and asked the man if it would fit my i30 SR (1.6t) as the post i read said it would. He didn't really confirm it would fit he just said 'the system says it matches' and that was not exactly comforting enough to drop $800 based on that answer. 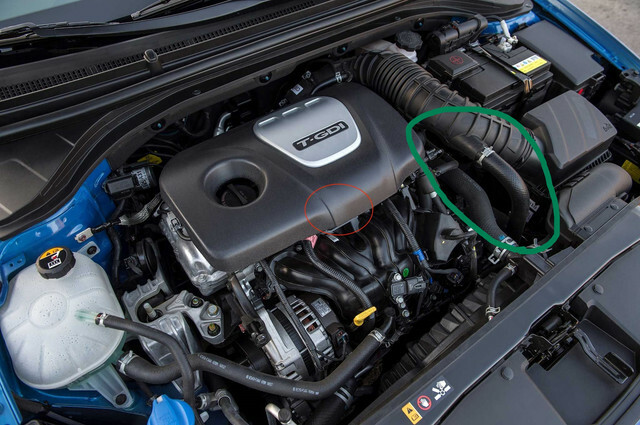 so i took it in my own hands to asses my engine a bit more (please don't judge me I seriously know nothing) and noticed there is a connection on my vehicle that is not here on what he's suggested me. Will attach both images for a better understanding (ignore the red circle look at the green one's). Torcon do a heat shield for that intake setup TORCON One Bend Aluminum Intake Kit for Hyundai Elantra Sport (Avante AD) 2017+ if you contact KDM you can get it added. Dam - I should not read this thread .. now my mind is running wild on what else I could do to the car beside LEDs. 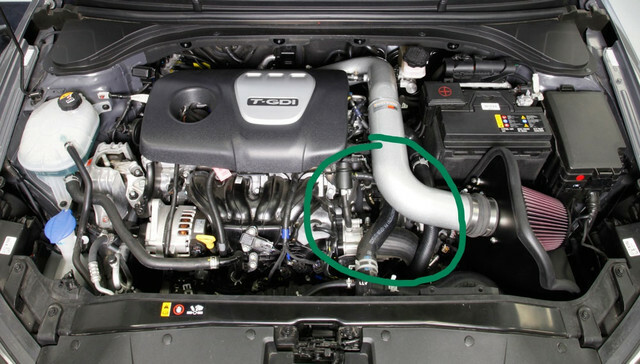 BTW what would replace this air intake do? benefits?? Just read up on the benefits of replacing the air intake - apparently more power. No thanks, the current stock setup already too powerful for me. Last night went off the M5 to the City, i was happily driving along in leisure pace until i looked down at the dash - 110km/hr. The power and the handling of the car make it so misleading, it is so easy going over the speed limit. This car will get me a ticket in the future if i am not careful. They are a beast in 6th or 7th gear when passing. I have to make a real conscious effort to reign her in after getting past! Last night I had to do a quick 100 km trip to Launceston for a 45 year school leavers catch up. I was being buzzed by a Lexus 250 even though I was doing 114 kph by the speedo. He eventually zoomed past. About 5 kms up the road I saw flashing lights.. The cops had got him! No but I did slow down as per the new road rules..